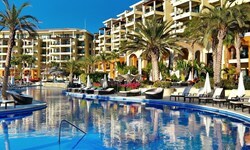 Casa Dorada Los Cabos Resort & Spa - Wedding Venue and Packages | The Future Mrs. Situated on the best swimmable beach in Cabo San Lucas, Casa Dorada Los Cabos Resort & Spa provides an unforgettably romantic setting for destination weddings. 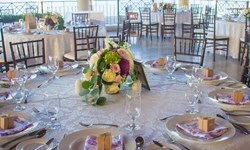 From our stunning oceanfront suites and award-winning gourmet restaurants to our private beach club and an elegant reception room, we specialize in designing signature celebrations. Hotel Casa Dorada Throughout the hotel, stylish architecture, sophisticated décor and impeccable service merge seamlessly. 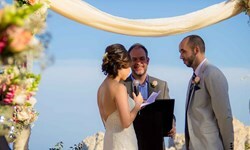 Trust our dedicated staff to help you plan every moment of your special day. From rehearsal dinners and sunset ceremonies to receptions and honeymoons, our wedding planning team will custom design a gathering that will delight your guests and set the perfect tone for your life together. Casa Dorada offers a range of venues for your wedding parties, ceremony and reception - all with a stunning Land’s End backdrop. Welcome family and friends with a cocktail party on the pool deck. Host a rehearsal dinner for up to 100 guests in the 12 Tribes Restaurant. 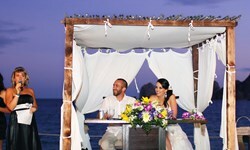 Exchange vows on the beach as the sun slips into the Pacific Ocean in an orchestra of color. Plan a night of dinner and dancing under the stars on our private oceanview terrace or host a more formal banquet in the hotel’s main reception room. Whether you’re planning an intimate family gathering or a gala celebration for 250 of your closest friends, you can be certain that your wedding at Casa Dorada will be an affair to remember.